Bioplastics, as the biodegradable plastics, are plastics which could be derived from plant-based materials or other renewable resources through fermentation process. The amount of garbage produced in Thailand is constantly increasing, with over 14.4 million tons created in 2003. The main elimination process is landfill- only 11% is recycled. With the situation driving research into developing environmentally friendly new products, there is an increasing interest in biodegradable plastics as one of the potential solutions. 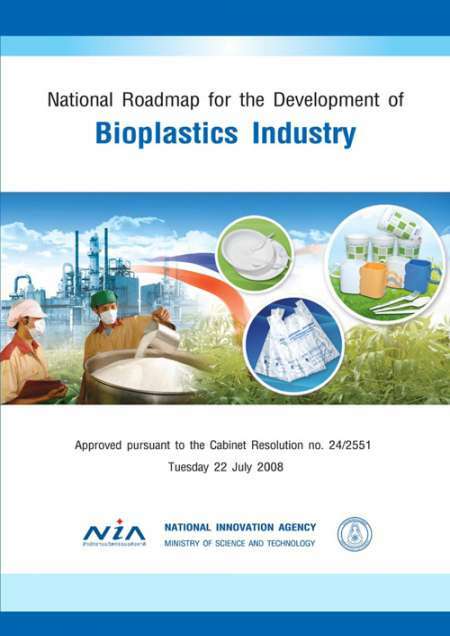 This chapter focuses on government and private sector activities in the area of bioplastics, the potential for Thailand’s materials and plastic industry, and the current government policy.